An astounding 94% of recruiters are using social media to advertise jobs, to communicate with others in the sector and networking with prospective new employees. We are now living in the era where it is now more important than ever for job sectors to have a strong social media profile. What is My Work Worth? People sometimes complain about "enormous" Headhunter fees, where we are paid something on the order of lawyers' hourly rates. I found this an interesting problem to analyze: Are we worth our salt? “Layoff” is quite a familiar term to all of us in the job sector. We are all panicked to think of it. However, an organization can go through bad days and at that time it has no other alternative but to cut the manpower. It is, therefore, essential to be prepared for such a crisis in advance. It will be incredibly valuable for your career. A few days ago, Software Advice released its annual report on Applicant Tracking Software buyer trends. The report includes data on the most common reasons for purchasing new software, popular deployment methods, and the top requested features. If you do online research, don't overlook your local public library. It's an excellent resource of online information, not just on books and publications, but also on businesses. 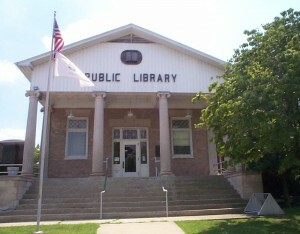 In this post, I will specifically write about the US Public libraries. Many other countries would have similar services offered at public libraries. When I was 9 years old and hoping to become the next great Mets pitcher, my father’s advice was pretty simple: watch Rich Wlodarczyk. WWBD: What Would Buffett Do? RECRUITERS WHAT ARE YOU THINKING? Building, maintaining and supporting a successful team can be just as much work as whatever the team itself is actually accomplishing, but it doesn’t have to be. The following four elements of team building define what lies at the core of an effective team and their leadership. FROZEN Out of Talent? Let It Go! The following is the transcript from a webcast I led on 8/26/14 for SHRM (Society of Human Resource Management). This should not be copied, distributed, or used without my permission. Thank you. You may be feeling the skill gap pressure, or you might be in the camp that believes the talent shortage is a myth. Regardless of how real you believe the talent drought is, you have, as a recruiter or staffing professional, at one point or another, found that finding the right talent can be down right impossible. Millennials Ready to Change the Workforce - Is Your Firm Ready for Them? It appears that Millennials (or Generation Y if you prefer) aren't just a part of the workforce, they are poised to take it over and make fundamental changes.